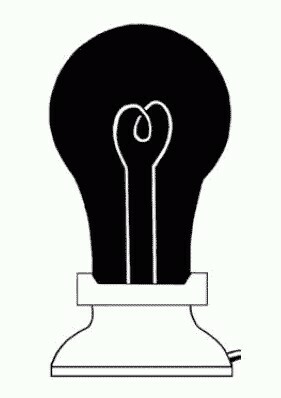 If you stare at this image of a black light bulb for about 30 seconds and then look at something white, you will be able to see the bulb glowing. this works because the cones (color receptors)for that color wear out so the cones that revive the opposite color are ready to go therefore they can't show the color you looked at before but they show the onsite color. That is what makes the light bulb seem "glowing"